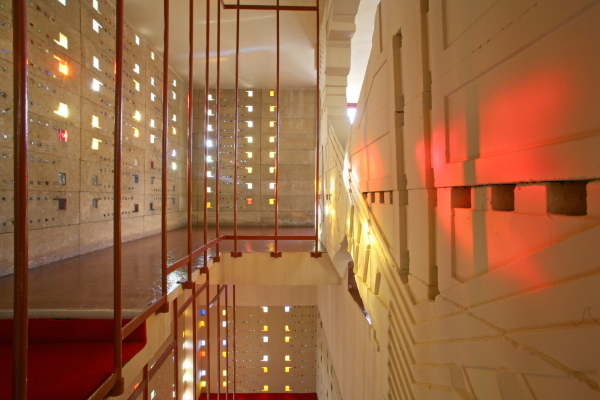 The Florida Southern College campus offers the world’s largest collection of Frank Lloyd Wright buildings on a single site. The 10 interconnected structures offer an unparalleled view of how Wright intended buildings to be part of a larger, organic whole. "Out of the ground, and into the light, a Child of the Sun": Wright’s simple but powerful statement describing Florida Southern College offers us a glimpse into the mind of America’s most influential, iconic, and (yes) poetic architect. It also informs us of the organic nature of his architectural thought and practice and is a signpost of his philosophy. 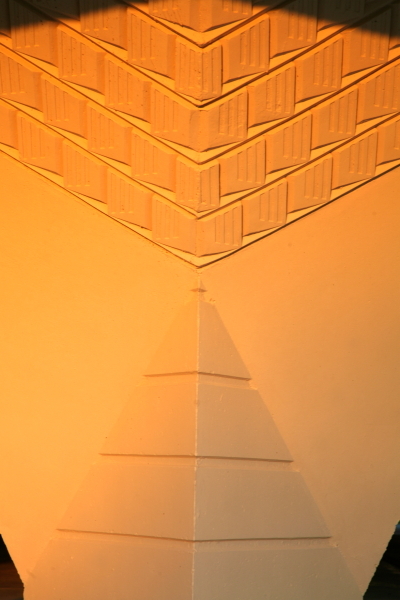 Simultaneously, it gives us something of a prophecy regarding the possibilities of biophilic design. Wright championed his own philosophy of organic architecture and, while not 100% compatible with today’s ideas of biophilic design, it certainly laid a strong foundation of intellectual and philosophical support for the movement. Wright’s statement also conjures up images of the profound relationship his buildings displayed with regard to Nature (that’s Nature with a capital N, as he was fond of saying). It is worth noting here that his words could have easily come from one of his creative heroes, such as Ralph Waldo Emerson, Henry Thoreau, or Walt Whitman, all of whom had a galvanizing effect on Wright’s thinking and his philosophy of how nature and architecture can be part of an organic whole. 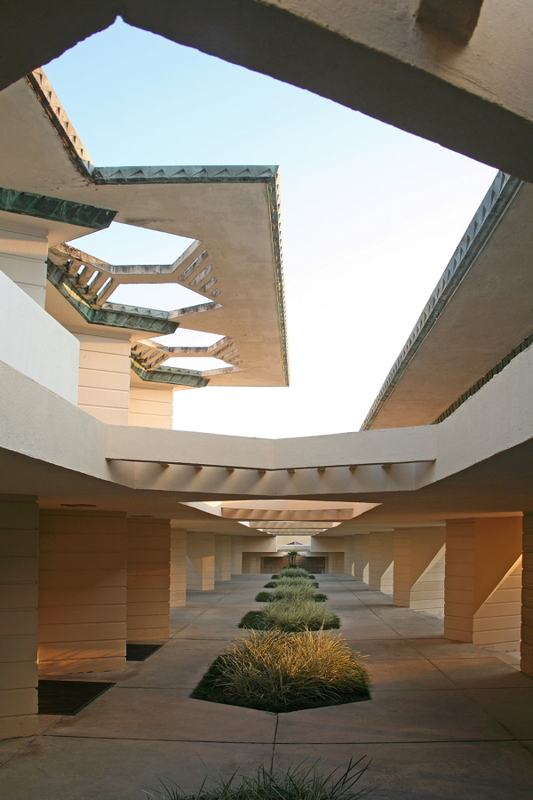 Speaking of an organic whole, it is here at Florida Southern College (the site of the world’s largest collection of Wright buildings) that Wright’s entire philosophy of organic architecture finds its most prolific and definitive voice. The campus is not just about the individual buildings but very much about how they integrate with one another and how they weave into and around the rolling hills of central Florida. They are all situated close to the tranquil shores of Lake Hollingsworth, a worthy location for the project that brought Wright as close as he would ever get to realizing his grand scheme of Broadacre City (his ideal of an American urban/suburban utopia, presented in his book "The Disappearing City" in 1932). 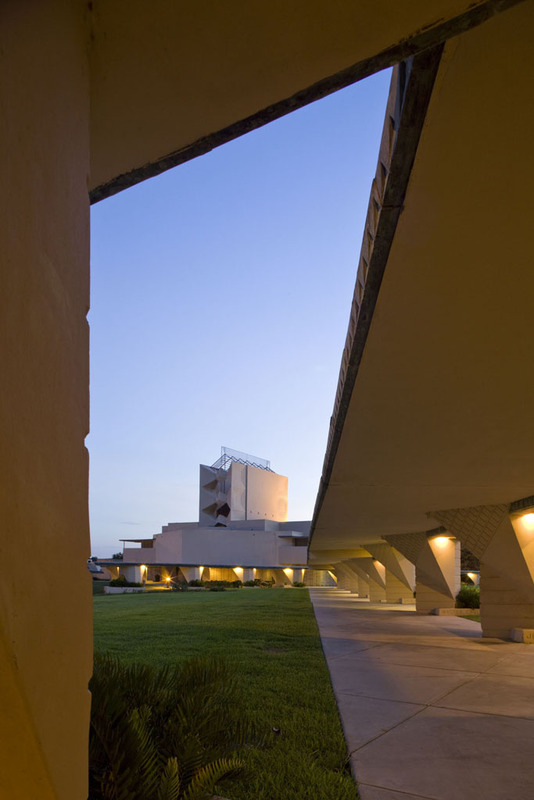 There are 10 integrated buildings by Wright at Florida Southern College, interconnected by a series of esplanades or covered walkways that act as the veins in the body of the campus. Built over the course of 21 years, between 1938 and 1959, the campus offers a remarkable look at the evolution of Wright’s architecture. 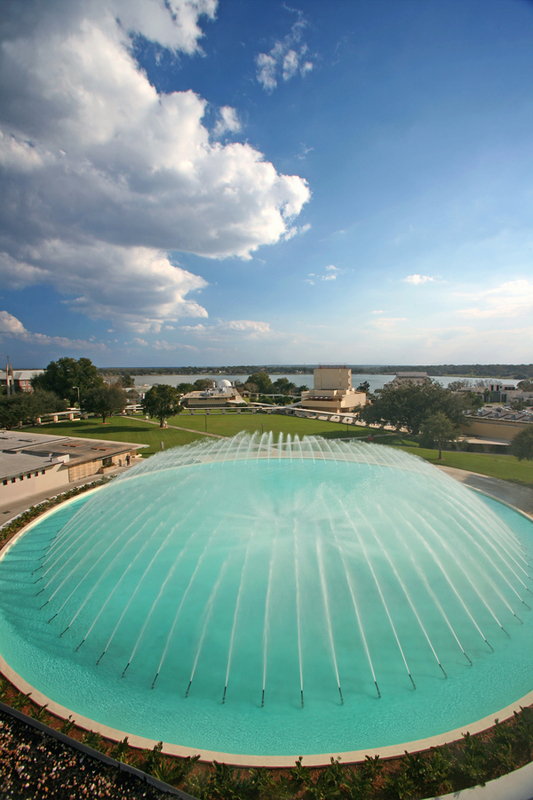 Far from being peripheral to the architect’s legendary oeuvre, Florida Southern College is actually central to the understanding of Wright’s architecture and his philosophy of organic architecture. 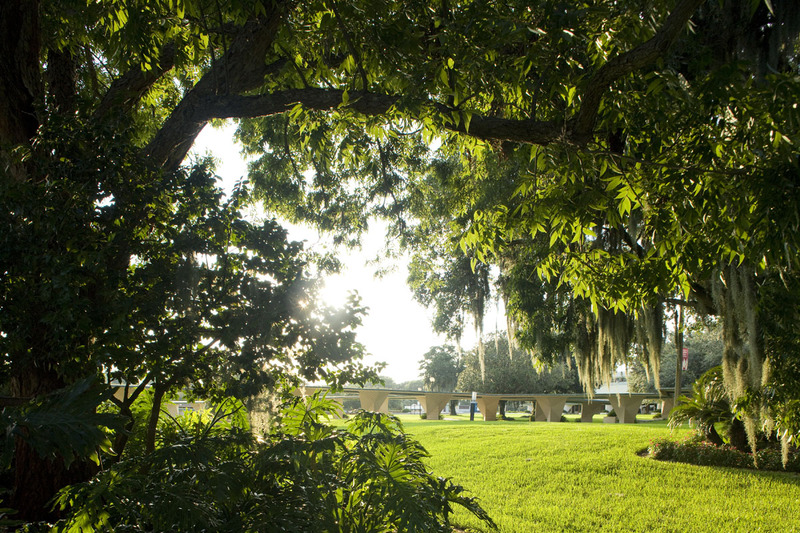 Any study of the possibilities of biophilic design should include reference to Florida Southern College, where the architecture is in harmony with nature and vice versa. 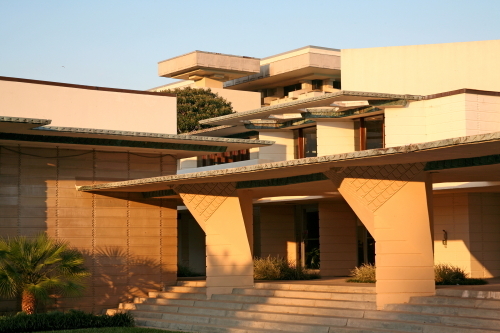 Much of Wright’s architecture could be considered somewhere between difficult and nearly impossible to maintain. 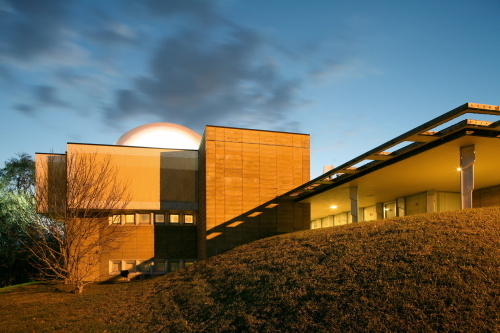 Often using the most modern building techniques and materials available, Wright was prone to experimentation, and this led to all kinds of problems with the maintenance and preservation of his buildings. Those at Florida Southern College are no exception to this, and they also suffer from the fact that many of the earlier buildings were built by students in lieu of tuition fees. Wright’s use of ornamental textile concrete block was extensive at Florida Southern College, and its problems have been highlighted by an excellent study sponsored by the World Monuments Fund, which can be read in full by clicking here. 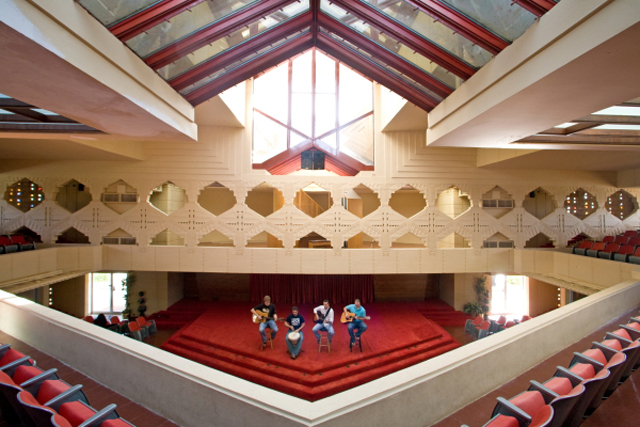 The World Monuments Fund also placed Florida Southern College on its watch list in 2008 to bring attention to the need for renovation and preservation of Wright’s only campus. The president of Florida Southern College, Dr. Anne B. Kerr, has been a strong advocate of the preservation of Wright’s designs while at the same time trying to bring the buildings up to 21st century standards. This is not an easy process, but it is one that is incalculably significant to the custodianship of our cultural heritage. 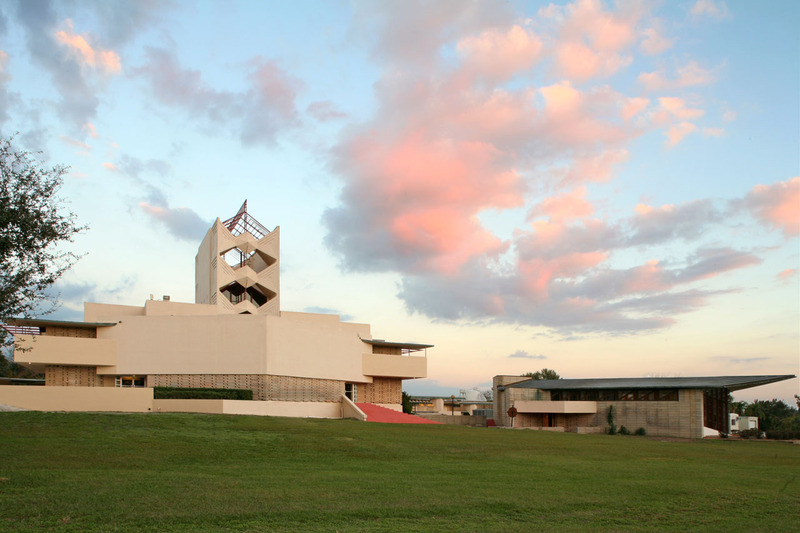 Although masterpieces such as the Solomon R. Guggenheim Museum, Fallingwater, and the Johnson Wax Building have captured the imagination of both the public and the architectural press, only at Florida Southern College can the whole system of Wright’s architecture be experienced. Wright attempted to find a spiritual congruence among people, his architecture, and the natural world. He manifested this philosophy by creating beautifully constructed elevations and plans and actualizing them into elegant space, through the use of geometry, complementary materials, sympathy for the natural site, and a deeply profound knowledge of the interplay of light and shadow. (This last aspect of his architecture is of particular importance to architectural photographers, such as myself, who try to capture the essence of Wright’s work.) People who are fortunate enough to experience Wright’s architecture on a daily basis have often come to understand the experiential delight of his transformational spaces. There is a recognition that the interior has been united with the exterior, that the whole construct is at one with the natural world, and that the human can become elevated through this experience. 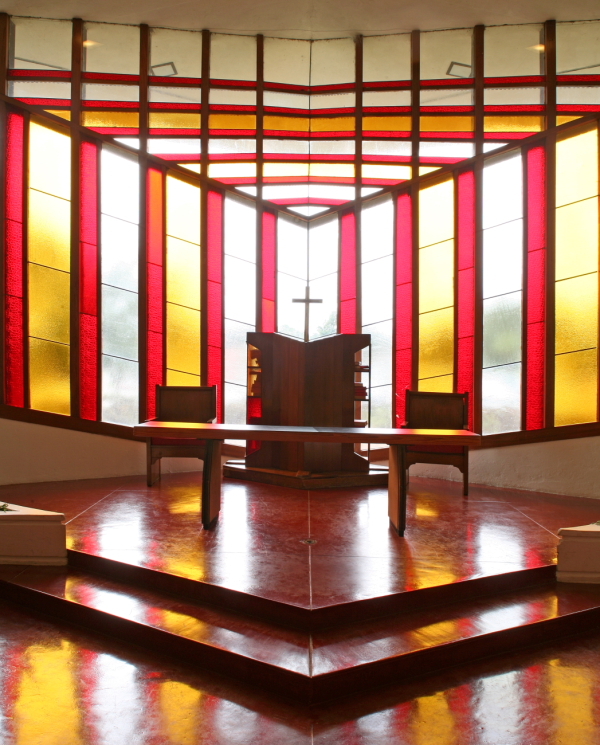 Indeed, Wright saw his architecture as a crucible for the spiritual awakening of mankind, and the Florida Southern College campus is no exception. It is of particular interest to note that groundbreaking for the first of Wright’s Florida Southern College campus buildings began in 1938, making it the United States' first modern campus at a time when modern architecture was in the throes of the International Style and therefore more attuned to Le Corbusier’s "machine for living" concepts than to Wright’s practice of organic architecture. Fast-forward to 2011 and many of Wright’s ideas seem particularly prescient of both biophilic design and the entire environmental movement, whereas Le Corbusier’s "machine for living" ideas appear to be anathema to the integration of nature and architecture. A special thanks to Robin Hill for contributing the text and photos in this article. Originally from Nottingham, England, Robin Hill is an architectural photographer based in Miami Beach. Over the last 25 years his photography has been published in many of the world's leading design publications including Architectural Record, Landscape Architecture Magazine, Garden Design and Vanity Fair. His photographs of Frank Lloyd Wright's Florida Southern College were included in the Guggenheim's 2009 exhibition, Frank Lloyd Wright: From within outward and his photographs appear in numerous books including MiMo: Miami Modern revealed (Chronicle 2004), Miami Architecture Guide (University Press Florida) and The Glass House (Rizzoli 2011). Much of his work is dedicated to Historic Preservation and his photographs have helped in Miami/Miami Beach to create the North Shore and Normandy Isles districts, which are in the National Register of Historic Places, and the North Beach Resort and the Morris Lapidus/Mid 20th Century districts, both designated historic on the local level.